This was the second book about Father Kapaun that I have read. It is very different from A Shepherd in Combat Boots: Chaplain Emil Kapaun of the 1st Cavalry Division by William Maher, that book went into a lot of details about his youth, his time in school, and the service. This book focuses on his time it Korea, his death, and the process of the cause of his canonization and the process of awarding him posthumously the Congressional Medal of Honor. The introduction states: "Emil Kapaun is a rare man. The Vatican is considering whether the priest deserves to be canonized a saint, and the president of the United States is pondering whether the soldier is worthy of the congressional Medal of Honor." It should be noted Pope John Paul II in 1993 declared him a Servant of God the first step towards canonization, and that he was awarded the Medal of Honour in 2013. "Why all the knowledge of and interest in Father Kapaun? The best answer I can think of is the attraction of his qualities of character. Father Kapaun was brave. He mocked the Communist indoctrination lectures in the PoW camp, calmly refuting their attacks on religion. Father Kapaun was generous. He literally carried a wounded soldier on a long, torturous forced march to the prison camp. Father Kapaun was good-natured. He worked at lifting the spirits of the POWs and at giving them hope. "Have faith, have faith", Father Kapaun told them. "Don't give up. We'll get out of here someday." Father Kapaun was caring. He would wash the clothes and bodies of sick POWs. He would scrounge for extra food to give them, sometimes giving them something from his meager share. Father Kapaun was self-sacrificing. He was captured because he would not leave the wounded GIs, even though he had the opportunity to do so. He died on May 23, 1951, his death hastened by harsh treatment from his captors and by a lack of food and clothing, for he had given to other POWs much of what he had." "Father Kapaun, just like every human being, including those already canonized by the Catholic Church, was not perfect. For example, he expressed the desire upon being liberated to treat a particularly nasty prison commander to a kick in the bohunkus. But it is his qualities of character, seen together with his humanness, that explain why everyone is interested in and touched by the story of Father Kapaun. These are manly, even heroic qualities of character, and the POWs with him, whether Catholics, Protestants, Jews, Muslims or nonbelievers, found them to be attractive. There is, however, another layer to Father Kapaun: his motivation, that is, why he acted so bravely, generously, cheerfully, thoughtfully, sacrificially. This can be explained by one word: Jesus." For a man to have lived in the POW camps and lived such an example that Catholics, Protestants, Jews, Muslims and non-believers were all inspired by him. For him to have served all, and raised many to be the best version of themselves. 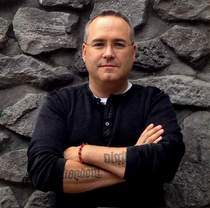 Is truly an inspiration. I have been married 15 years, in that time my wife has seen me cry maybe twice. I was brought to tears twice while reading this book. What the men live through in the POW camps, I can hardly imagine. 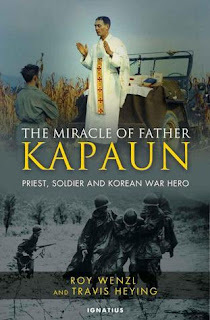 How Father Kapaun took that situation and served the men, served God, and brought light and hope into that situation really is the grace of God and miraculous. The second half of this book is about miracles attributed to Kapaun and the process of canonization that is under way. This book in some ways is easier to read than A Shepherd in Combat Boots, but only because it does not go into nearly as many details about the time on forced marches, or as a POW. But it is hard to read some of the stories of miracles, as a father, as a brother, reading some of these stories and picturing my son or daughter, and it is hard not to, is very hard. The monument to Kapaun in his home town has the saying engraved "all man, all priest" And he truly lived a life that will inspire and challenge us. What an incredible story! Father Kapaun pray for us! I have had a few of the Pure Leaf Iced Teas over the years so when I had a chance to try some of their bagged tea, I was very excited. First I tried the Chai Bagged Tea, it was a great disappointment. This one was not any better. This tea is so weak that at first I tried steeping it long, once I was up to 8 minutes I added a second bag, then a third. To get a good strong cup of tea it took 3 bags and steeping 6 minutes. This tea was so disappointing that I put it out at work with a sign saying help yourself. I was very surprised that a company that makes such good bottled iced teas makes such pathetic bagged tea. Very disappointing. The directions say too steep for 3 minutes, but it takes almost triple the time and number of bags to make a good cup. If I had not got this to review I would have returned it for refund. This tea contains single origin Kenyan long leaf black tea, ground vanilla beans, marigold petals, and natural flavour. It needs a lot more tea, a different type of tea or more 'natural flavour'. Would not try it again and would not recommend it to anyone who actually enjoys tea. I have tried hundreds of teas over the years. I currently have about 20 types at home and 10 at work. Some of my fondest memories are drinking tea with my gram, with friends or even a good book. This is the worst tea I can recall ever drinking! I had a physical copy of this book for almost a year. And every time I tried to pick it up and just never got very far, because of the font and color. With my dual form of dyslexia I just could not get far and kept starting back at the beginning. Then the eBook was released, and even though I had bought the physical, I bought the eBook and read it in 2 days. I could not put it down. That was a few months ago, I have just gone back and reread it in order to write this review. 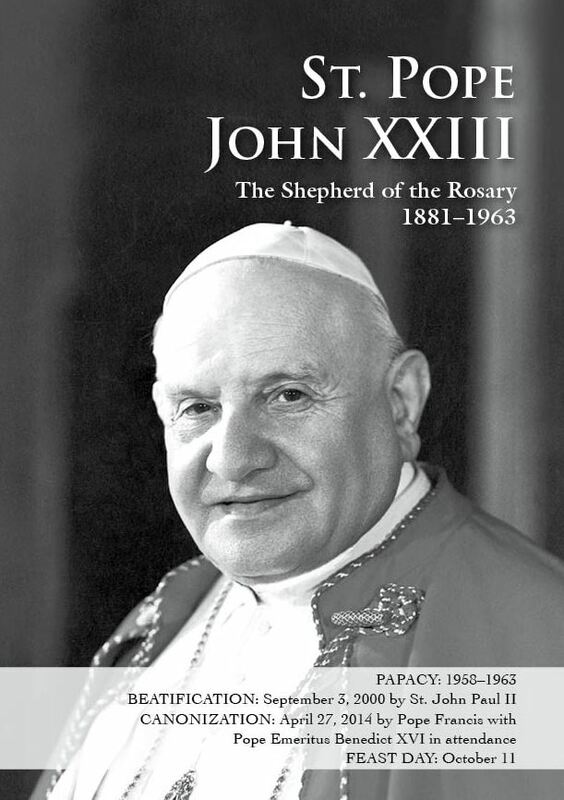 This book is not a small volume at just under 550 pages it is to date the most comprehensive work on the Rosary available in English. "Dear reader, I promise you that if you practice this devotion [the rosary] and help to spread it you will learn more from the rosary than from any spiritual book. And what is more, you will have the happiness of being rewarded by Our Lady in accordance with the promises that she made to Saint Dominic, to Blessed Alan de la Roche and to all those who practice and encourage this devotion which is so dear to her. For the holy rosary teaches people about the virtues of Jesus and Mary, and leads them to mental prayer and to imitate Our Lord and Savior Jesus Christ. 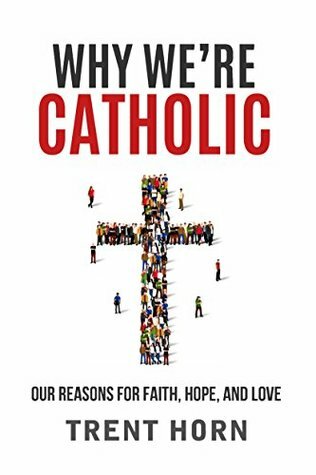 It teaches them to approach the Sacraments often, to genuinely strive after Christian virtues and to do all kinds of good works, as well as interesting them in the many wonderful indulgences which can be gained through the rosary." So you might ask why another book on the rosary. Fr. Calloway wrote to book after years of research, and years of prayer. The book is divided into three sections. 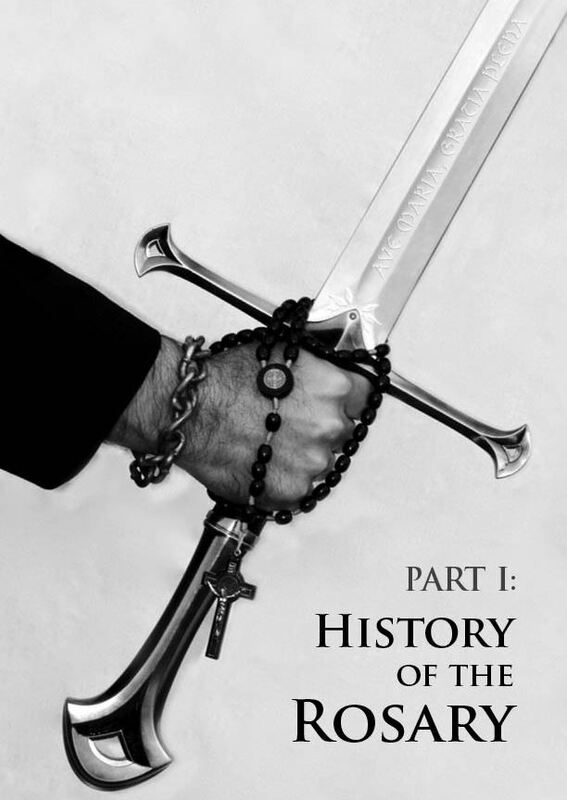 The first is a deep history of the rosary; it is the culmination of 10 years of research and historical study. The second part of the book is profiles of 26 champions of the rosary. These 26 people, from all walks of life wrote about, or contributed to the promotion or defence of this prayer practice. And finally the third section of the book is information on praying the rosary. 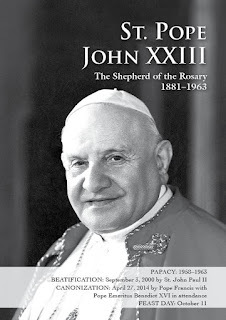 "My greatest desire is that those who read this book will be inspired to want to pray the rosary daily and further the cause of Jesus Christ and his saving mysteries. Our world needs the rosary today more than ever. Every person who reads this book is capable of wielding this sword and becoming a champion of the rosary." And I pray that for those who read this book because of my review. This book is an incredible read. 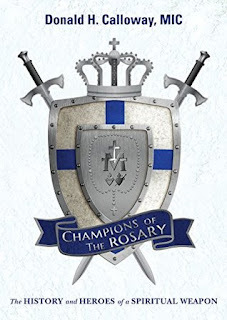 For each of the 26 champions there is a Photo with key dates, and the photo is representative of the person's role or relationship to the rosary. This is followed by a very brief biography. An outline of their Marian devotion is the next section and then a section on why they are a champion. This is followed by Rosary Gem's or quotes from the person's works, writings or attributed to them about the rosary. This prayer - the holy rosary - is the simplest and easiest one of all for the Christian people. When parents and children gather together at the end of the day in the recitation of the rosary, together they meditate on the example of work, obedience, and charity which shone in the house of Nazareth; together they learn from the Mother of God to suffer serenely; to accept with dignity and courage the difficulties of life and to acquire the proper attitude to the daily events of life. It is certain that they will meet with greater facility the problems of family life. Homes will thereby be converted into sanctuaries of peace. Torrents of divine favors will come to them, even the inestimable favor of a priestly or religious vocation. 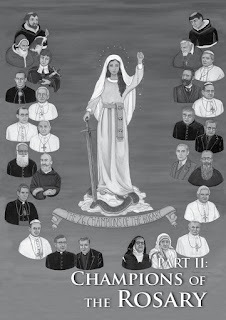 Individuals, whatever their spiritual status may be, will undoubtedly find in the fervent recitation of the holy rosary, an invitation to regulate their lives in conformity with Christian principles. They will, in truth, find in the rosary a spring of most abundant graces to help them in fulfilling faithfully their duties in life. The well-meditated rosary consists in a threefold element. For each decade there is a picture, and for each picture a threefold emphasis, which is simultaneously: mystical contemplation, intimate reflection, and pious intention. The rosary is a very commendable form of prayer and meditation. In saying it we weave a mystic garland of Ave Marias, Pater Nosters, and Gloria Patris. As an exercise of Christian devotion among the faithful of the Latin Rite who constitute a notable portion of the Catholic family, the rosary ranks after Holy Mass and the Breviary for ecclesiastics [priests], and for the laity after participation in the sacraments. It is a devout form of union with God and lifts souls to a high supernatural plane. May the rosary never fall from your hands. The rosary is the glory of the Roman Church. Oh, what a delight this blessed rosary is! Oh, what assurance it brings of being heard here on earth and in the eternal heavens! I knew Pope John. His love for Our Lady and his devotion to her rosary contributed an essential element to his spiritual growth and stature. This book is an incredible read. 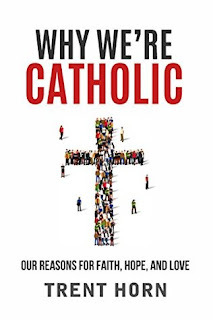 If you already have a strong Marian devotion this book will help you to grow it. If it could use some improvement I cannot think of a better book to encourage, challenge and inspire you. A wonderful book and one that is needed in this day and age! As a side note I passed on my physical copy to my church Library and always have my eBook with me. Note some books are published as Donald H. Calloway and some as Donald Calloway. "Trees keep time the way time is meant to be kept. every leaf into the one story, the only story. because it can never stop growing." This is a story about family, about bonds, about friendship, and about magic. In the vein of the Lord of the Rings, or better yet the Narnia Chronicles. Like C.S. Lewis, N.D. Wilson is going back and telling the origin story after the first three books were published, and like Lewis this origin story is packed full of adventure. One of the main focuses of the book is a powerful young woman named Hyacinth Smith. She can stop dogs in their tracks, she can grow plans, and she sees what others miss. Her father inherits a house from a distant relative. Everything starts to go sideways when they get to this house. For her great aunt has been playing with powers well beyond her control. She has collected a forest of trees that were struck by lightning and has used them to create doorways into other worlds. When one of these doors open two boys tumble through, but so does a creature of great evil, the queen witch Nimiane. And the battle begins. Hyacinth, her brother, and the strange boys must find a way to stop the witch or she will not only destroy our world but all the worlds she can reach through the doors. Like Wilson's other books this story has a great pace. Incredible characters, and a whole lot of adventure. I love the strong female character and cannot wait to read this book with my girls when they are a little older. I greatly enjoyed this book, and really hope that Wilson blesses us with more. 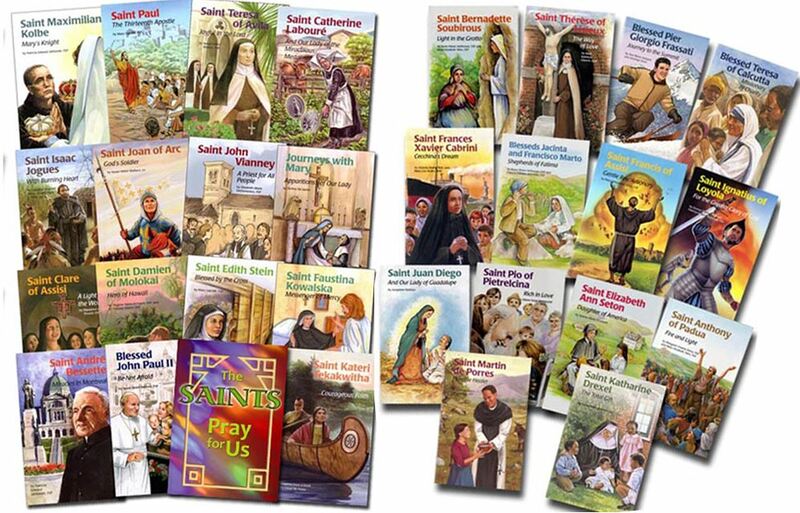 With each book that I read in the Encounter the Saints Series from Pauline Books and Media I find that my faith is challenged, that my prayer life deepens and that I desire to know more from the saints profiled in this series. This is an amazing book in an incredible series. I love reading these books and sharing them with my children. This story surprised me in many ways. Anthony of Padua, in some ways did it all in the religious life. He started as a member of the Augustinian, became fascinated with the Franciscans. Wanted to go travel and preach but was prevented by his health. He even preached at the ordination of a number of Dominicans. He was a teacher, and a preacher. He has dedicated to serving God and following where God lead. He was once asked if the changes in his life were 'running away from the cross, and he replied "No, Father, I'm running toward it,". And that is the great example from his life, to run towards God, no matter where he leads. To remove the distractions and focus on loving God and following where God leads. "Saint Anthony, God was always first in your life. You loved him so much that you wanted all people everywhere to come to know, love and serve him too. You used your special talents for teaching and preaching to bring people closer to God, and to help those who were doubtful or confused. There were many times in your life when things didn't work out as you had hoped for or expected, Saint Anthony. But you always trusted in God and in his love for you. It's not always easy for me to put God first in my life. Would you please help me, Saint Anthony? Show me how I can use my gifts and talents to help the people around me. Help me to know and follow God's will and to trust that God never stops watching over and loving me. I want to follow Jesus as you did. Pray for me, Saint Anthony.Amen." When he dies there was fighting over where he would be buried, for he was so popular and respected. Both the people of Arcella and Padua wished to have him buried in their town. Can you imagine living such a holy life that people fight over where you will be buried. This book gives us a taste of such a man's life. It shows us the saint who greatest focus was following God, no matter where he lead. And As such he is an example to us in each day we life, to see God and follow him. The illustrations by Ray Morelli in this book are very different in style than many of the others in this series or at least the 11 I have read so far. There are 5 illustrations in this volume but they are not as detailed as many of the others in the series. There are more of an black ink style and less a detailed pencil drawing. This book was the first published in the Encounter the Saints Series this book was published in 1999, and there are now 37 books published in the series and another is due out in January of 2018. It is an incredible series and I highly recommend this specific book and the whole series. Read about Saint Anthony and learn from his example of how to listen to God's leading and run towards it. I have had a few of the Pure Leaf Iced Teas over the years so when I had a chance to try some of their bagged tea, I was very excited. The excitement did not last. The first time I tried this tea it was so weak it had next to no flavour at all. The second time I steeped it for twice the recommended length of time, with almost no improvement. The third time I double bagged for a single mug and it made a pretty good cup of tea. I experimented and to get a nice strong flavourful cup of tea I had to use 4 oz of water and steep a long time for a single bag to be effective. With either very little water or double bagging it makes a fairly nice chai, but that makes it almost $1 a mug. So I would not likely buy the bags again, but I might try the loose leaf. I had this experience with both the Chai and Vanilla Black. This Tea is made from black tea, cinnamon, ginger, cardamom, chicory root, pink peppercorns, cloves, black peppercorns and marigold petals. It has a nice scent. But just too weak a portion in the bags for me to recommend them. This is the 11th book in the Encounter the Saints Series from Pauline Books and Media that I have read this spring. It was also the second book on Saint Kateri Tekakwitha that I read back to back, the other a fictional story by Lisa Hendey, The Sign of the Carved Cross, Chime Travelers Book 2, led to our reading this book now. After reading Hendey’s book about a young girl who goes back in time and interacts with this Saint my oldest and I wanted to know more about her. Therefore this book jumped to the top of our reading list. And we are both so thankful that it did. This book had a huge impact on my daughter and I for a number of reasons. First it is about a saint who died young. St. Kateri was only 24 when she passed away. Second was the Canadian connection, when Kateri was traveling to the settlement in Montreal, my daughter became very excited. And my daughter was also really excited about a young woman of deep faith. Also I can relate to a family that is not encouraging or supportive of a committed faith. We devoured this book, we each said more than once 1 more chapter and could just not put the book down. The example of love and service that Saint Kateri Tekakwitha lived is incredibly inspiring. He hunger and thirst for God and relationship is impressive. Her commitment to serving is an example to all of us. This story chronicles her life, from her mother’s capture by the Mohawks for she was an Algonquin; to her death and transformation at her time of death. This young girl lost her parents, her sibling, and lived the house of her uncle. She was not treated well in that situation because of her poor eyesight, and she was treated harshly. Once she came to express her faith this situation even worsened. But she loved Jesus and her faith more than the persecutions she experienced. She was a quick learner and loved learning about the Catholic faith and loved teaching about it also. Her greatest love was Jesus, and he life is an example to all of us. This book is a little different than others in the series that I have read to date. It is adapted from another book, currently available as Kateri Tekakwitha by Lilian M. Fisher, but originally published as Kateri Tekakwitha: The Lily of the Mohawks from the Saints and Holy People series. The book was adapted for children by Emily Beata Marsh and Jaymie Stuart Wolfe. Emily wrote one of the other books in this series, and Jaymie has written numerous books But reading it you cannot tell that it is a modified or abridged and edited version of another book. This book was the 31st book released in the Encounter the Saints Series, and this series is marketed for tweens geared for 9-12 year old readers. But I am finding that it is an excellent series for even younger children, if it is read to them, and that each book has challenged and motivated me and my faith and I am pushing 50. This book was an incredible read, and it is part of an amazing series. I highly recommend both the book and the series, I am sure that as you read the examples of these saints will inspire you to grow your own faith. A wonderful read.